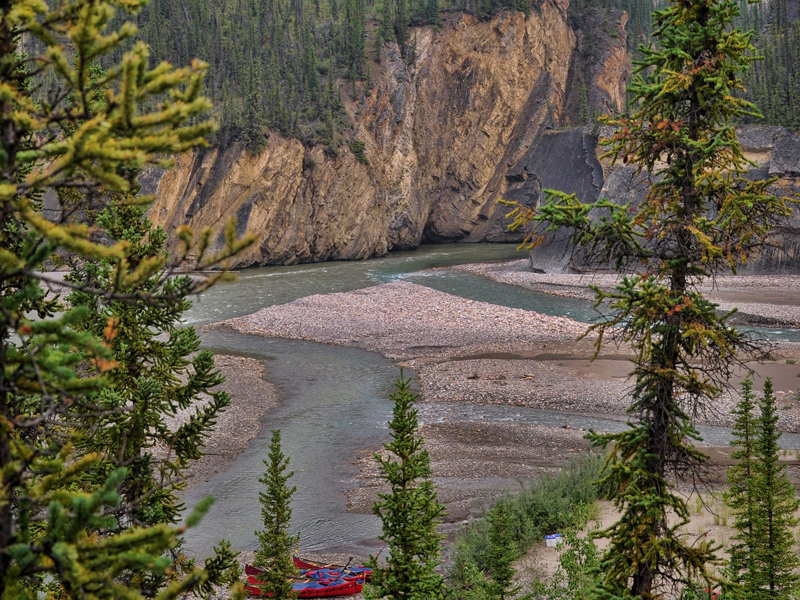 With six stunning canyons, the Mountain River is considered the most coveted whitewater canoe trip in Canada by seasoned river-guides. 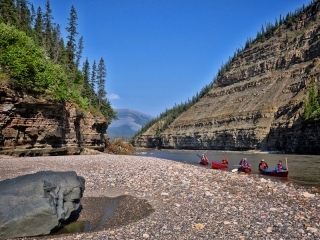 Its remote setting and lightning fast water with jaw-dropping mountain scenery will thrill you right to the confluence with the Mackenzie River. 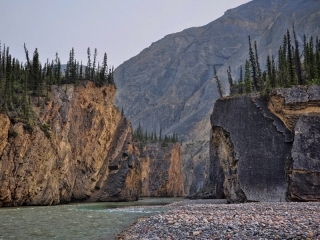 The canyons are defined by vaulted sheer cliff walls guarded by mysterious “gates” and challenging white-water suitable for intermediate or advanced canoeists. 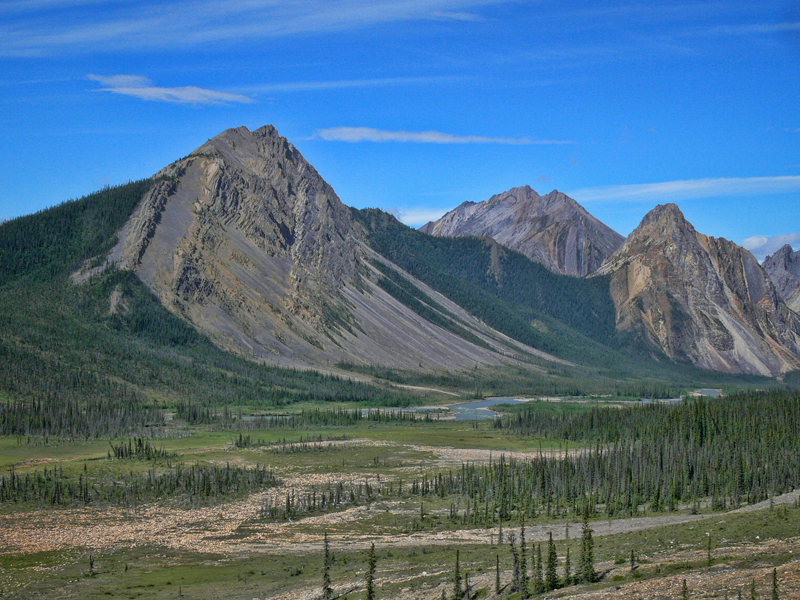 The Mountain is a pristine river located in the Mackenzie Mountains just north of Norman Wells. 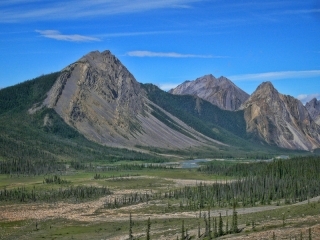 Part of the Mackenzie River basin, it lies within the Arctic watershed flowing northeast along the border of the Yukon and Northwest Territories. When the float plane dips its wing to land on Dusty Lake, trippers take in the vast landscape with the towering Selwyn Mountains dominating the view. 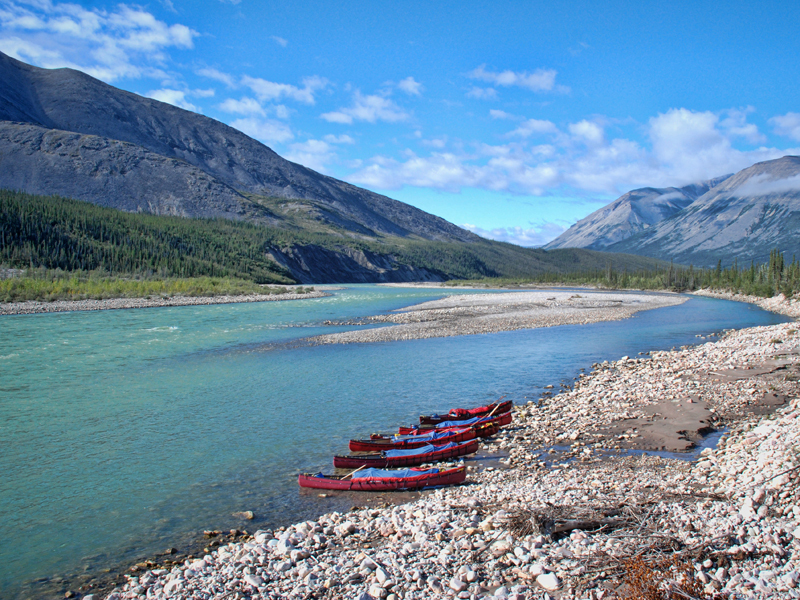 This classic mountain river flows through a panorama of mountains with magnificent scenery, abundant wildlife, alpine hiking, steady current and miles of runable rapids. Inviting alpine slopes descend to near river level. 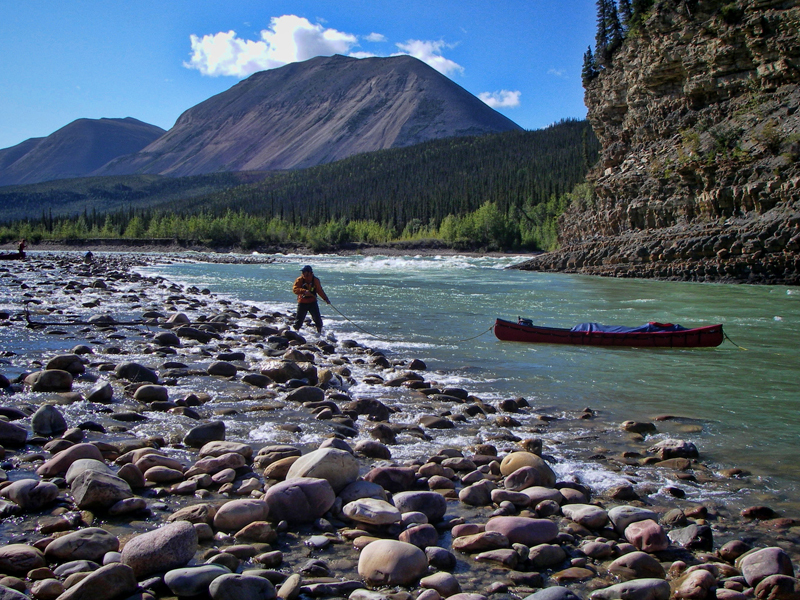 This river is suitable for a more experienced paddler looking to hone their skills on one of the most iconic river systems of the north. In its upper reaches, the Mountain is a frisky, quick-paced river with challenging rapids with many lively turns culminating with 1st Canyon. Watching this river grow from a tiny stream deep in the mountains to a broad, mature river tells the complete story of a magnificent river journey. 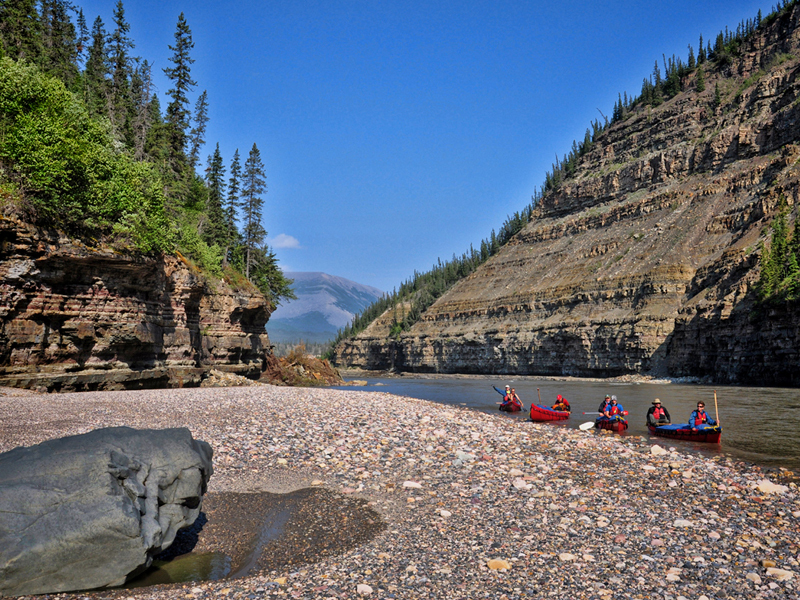 Steady current takes paddlers through gracious curves and along soaring cliff faces and sandy slopes. Paddling through six whitewater canyons, hiking up mountainsides and exploring unusual land formations define the Mountain River. The river promises glimpses of ancient moonscapes and large tufa rock formations that stand as sentinels among the white and black spruce of the Boreal forest. The canyon entrances at Battleship Rock and Cache Creek remind us of the invitation from this wild land to keep our eyes open. As she drops her veil, the land allows us to glimpse the story that time has carved out of this world. A waterfall and icy, watery cave at Cache Creek are unique features that can be explored. We take on the whitewater that is fun and fair giving us that exhilaration that combines a feeling of well-being with accomplishment. At the exit of 6th Canyon a therapeutic hot-spring offers a luxurious soak! 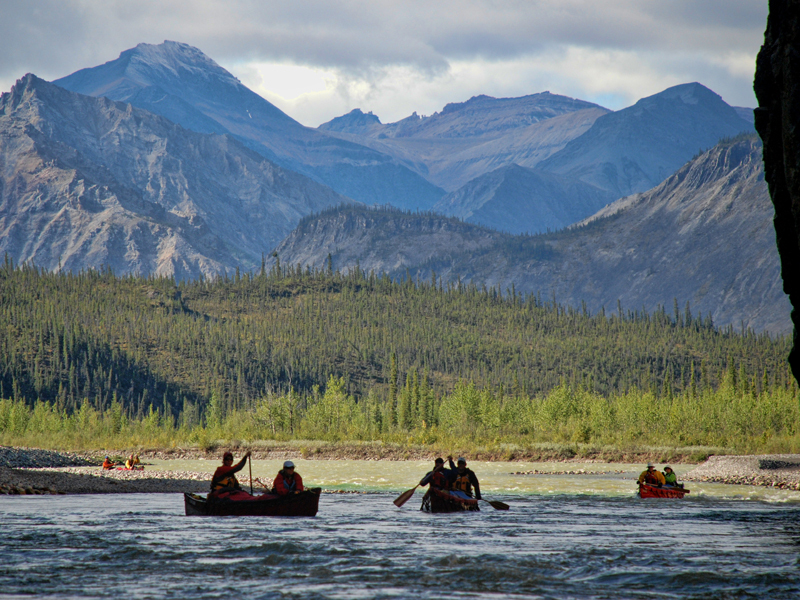 As the mountains pull away into a broad panoramic valley, the Mountain River joins the mighty Mackenzie River where the trip ends. What’s included with your trip fee? Arrival We require that travellers arrive at the Canoe North Adventures Outfitting Centre in Norman Wells the day before they embark on their expedition. 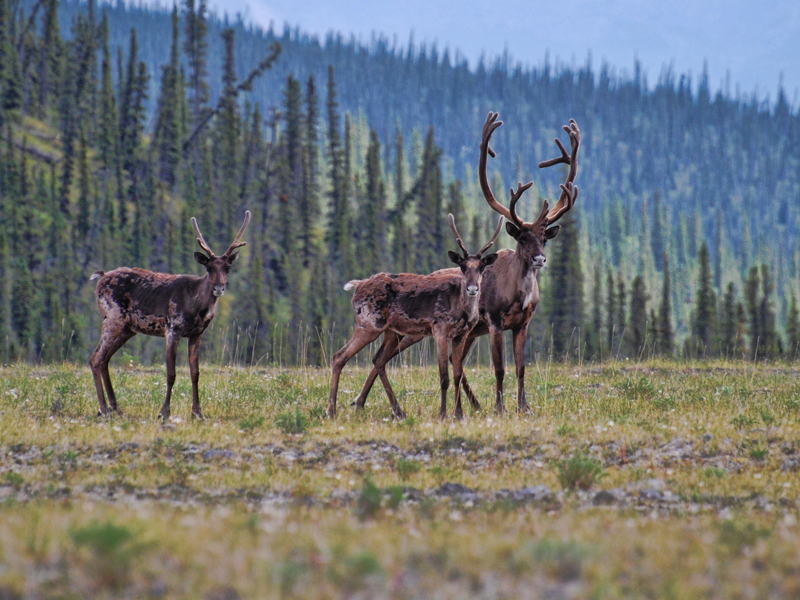 Day 1 Depart the Outfitting Centre on the charter flight to Dusty Lake. 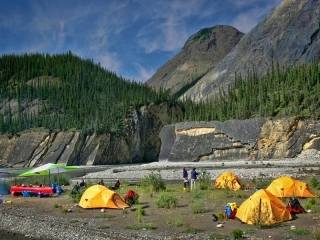 Day 2-11 Portage about 1km to the Mountain River. 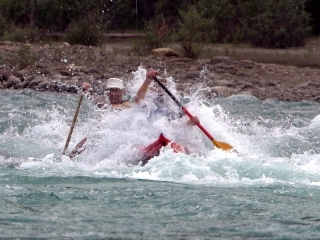 Real paddling on the Mountain River begins! 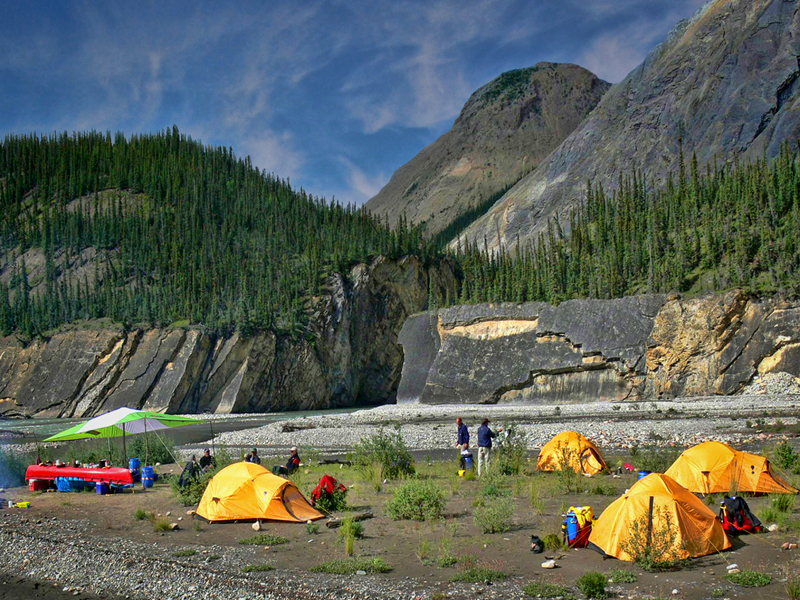 Once we camp, many hikes are possible in the spectacular upper Mountain River Valley. Our first small canyon gives us a real start to the excitement of the river. 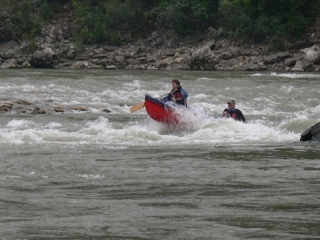 The next section of the river starts with easy paddling through swifts and a few small rapids. 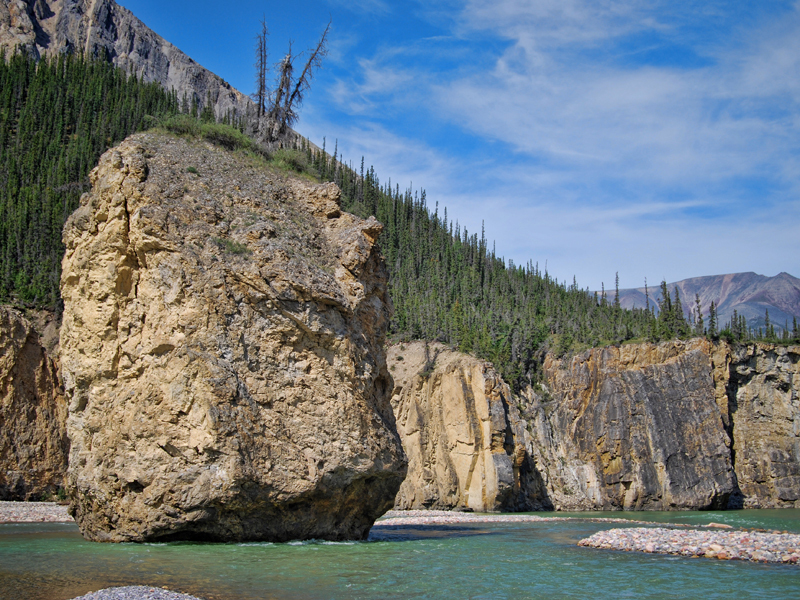 Further down the river are the moonscape hike and Tufa Mounds where there are opportunities for hikes into these unusual geological features. 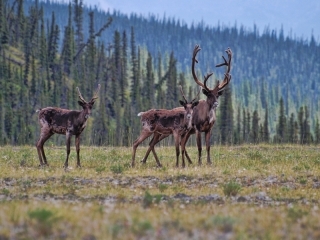 Cache Creek is a camp with opportunities to hike, fish and photograph and the start of a series of five canyons that feature high cliffs and exciting whitewater runs. Cache Creek Canyon is a beautiful and not difficult paddle. Battleship Rock Canyon and U-Turn Canyon offer almost consistent wavy rapids and standing waves. The entrance to Switchback Canyon offers a challenge as it turns sharpy right leading down to a series of broad turns that at hte end takes paddlers out of the mountain regions of the river. Swift current and small waves keep hte canoes moving all the way down to Hot Spring Canyon where quiet water takes us into the Mackenzie lowlands. The current gradually slows as we pass through the flats down to the Mackenzie River to our last camp. Day 13 Return to Canoe North Adventures Outfitting Centre and final night dinner celebrations.